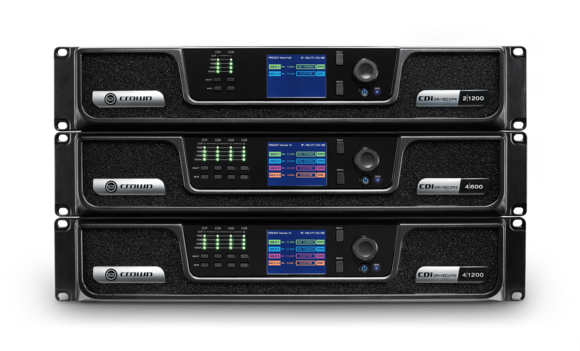 The CDi DriveCore Series is an evolution in amplification, providing an impressive mix of high-performance; rich feature set, and competitive cost. Using technology derived from our flagship Installed Sound amplifier (Crown DriveCore Install series), the CDi DriveCore 2|1200BL offers streamlined functionality to work in almost any large sized installation such as cinema, houses of worship, hotels, cruise lines, and more. Designed for ease-of-use in a variety of applications, the 2|1200BL is a 2-channel amp that includes network control/monitoring, high-level DSP, front-panel interface, and support for driving up to 100Vrms speaker loads without requiring a transformer. The 2|1200BL also comes with BLU link, adding the ability to send and receive channels over HARMAN’s digital audio BUS. The entire CDi DriveCore line comes pre-loaded with JBL speaker tunings to help make installations quicker and easier.